According to the organization Mothers Against Drunk Driving (MADD), one person in the U.S. dies in an alcohol related collision every 52 minutes. To combat the tragic consequences of driving while under the influence of alcohol (DUI), Virginia joined 15 other states adopting harsher penalties for first time offenders. Other states that have adopted the new, harsher DUI laws have seen a decrease by as much as 52% in alcohol related deaths, and a reduction in repeat drinking and driving offenses by an average of 67%. The primary change in Virginia law concerning first time offenders was that, as of July 1, 2012, a conviction requires that an ignition interlock device be installed, at the owner’s expense, for a period of no less than six months. In addition to the change regarding first time offenders, the new law provides harsh penalties for a repeat offender. For any driver previously convicted of a felony DUI, a second DUI conviction will automatically be a Class 6 felony, with a mandatory one-year prison sentence. Virginia measures driving under the influence by blood alcohol concentration (BAC) levels. The permitted limits vary by age and operator’s license type. Currently, an adult driver with a BAC of .08% or higher can be arrested for DUI. If the driver is under the age of 21, he can be arrested for DUI with a BAC of only .02%. A driver with a commercial driver’s license (CDL) and a BAC of .04% or higher can also be arrested for driving under the influence. Even if you have a few drinks and think you are fine to drive, your ability to drive safely may be impaired. A person with a BAC of .15 is over 300 times more likely to be involved in a fatal crash. A person with a BAC much lower can still have their judgment affected and reaction time slowed. Please don’t drink and drive. About the Author: Kathleen is a Fredericksburg accident attorney with the Virginia personal injury law firm of Allen & Allen. She handles all types of injury cases including car accidents in Fredericksburg, Garrisonville and the surrounding areas. 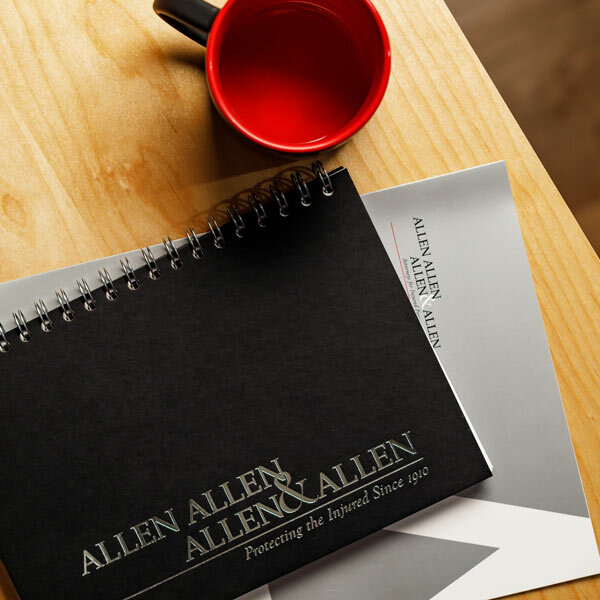 For decades, the personal injury lawyers at Allen and Allen have counseled and guided families and injured persons through the complex legal issues arising out of accidents caused by drunk drivers. If you or a loved one has been injured by a drunk driver, call Allen & Allen at 866-388-1307 for a free consultation. See Va. Code §18.2-270.1 at http://leg1.state.va.us/cgi-bin/legp504.exe?000+cod+18.2-270.1. See Va. Code §18.2-270 at http://leg1.state.va.us/cgi-bin/legp504.exe?000+cod+18.2-270. See Va. Code §18.2-266 at http://leg1.state.va.us/cgi-bin/legp504.exe?000+cod+18.2-266. See Va. Code §18.2-266.1 at http://leg1.state.va.us/cgi-bin/legp504.exe?000+cod+18.2-266.1. See Va. Code §46.2-341.31 at http://leg1.state.va.us/cgi-bin/legp504.exe?000+cod+46.2-341.31.